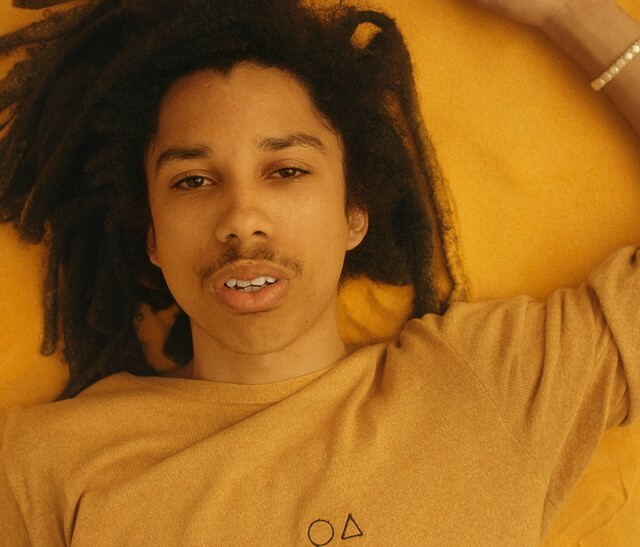 Since leaving home at the age of 18, Californian rapper, singer and producer London O’Connor has lived much of his life out of a backpack. With a head full of thick dreadlocks and a brain bursting with existential ideas about freedom and space science, his hyperreal authenticity bleeds out in random text conversations with fans – he once tweeted out his mobile phone number to his followers. He now swaps iMessages with people from all over the world. His debut album O∆, which was self-released on SoundCloud in 2015 and re-released via independent label True Panther Sounds in February 2017, has gained the approval of contemporaries such as Jaden Smith and Hodgy of Odd Future. The album – buoyed along by O’Connor’s intermittent falsetto, nonchalant flows and dreamy shoegaze production à la M83 – chronicles a single day in his life.